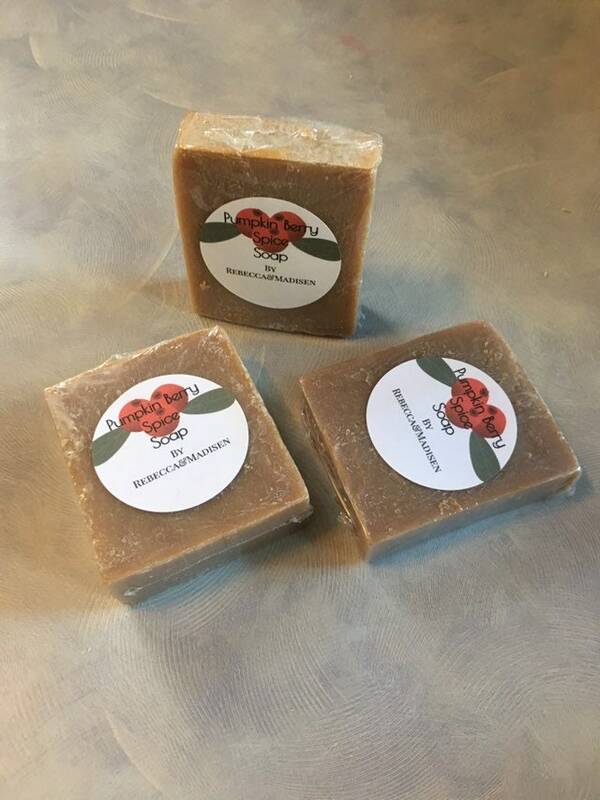 This handmade soap is made with olive oil, coconut oil, coconut milk, rice milk, avocado oil, cocoa butter, mango butter, shea butter, castor oil, kaolin clay, and pumpkin. This bar is about 3.5oz to 4 oz. Scent - apple, frozen berry, lemon, balsam fir, cinnamon, clove, cedarwood, mountain air, and musk mixed with fresh pumpkin puree.